A Japanese fan is not only beautifully created but it is also one that is functional. 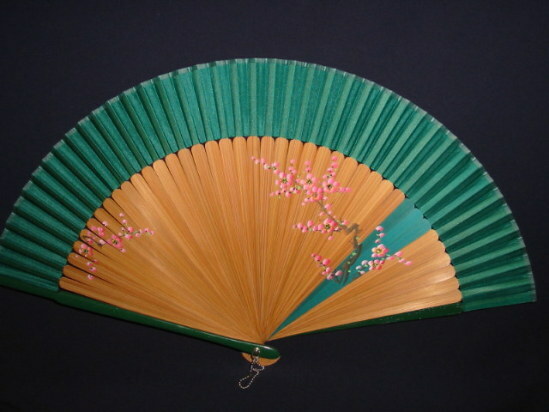 These fans have long been considered as part of the ancient art of the Japanese. You will certainly have a blast teaching your children how to create these fans and not to mention you will also keeping the entire family cooler. Choose your own patterns, designs and colors. This is a good way to experiment with the different methods to create a Japanese fan. Search for one method that will sit you. Start creating your beautiful Japanese fan that is your own by following these simple and easy steps. The first step is to construct the bones of the fan. Look for the middle portion of your bamboo sticks in a width wise position. Make a mark at a distance of one inch measuring from the other end. This part is where the fan will pivot when it is opened and closed. Using your needle, make a hole on the part you marked the mid-section of your bamboo sticks. With the head pin, thread through the newly made holes. The, gather all the sticks of bamboo together just like you would when the fan is in a closed position. This is the right time to decorate the fan’s bones if you want them in different colors. Remove that head pin. Then sand down with the sandpaper. Paint as so desired. Thread that head pin right back into the holes. Utilize the nose pliers to swivel one end of the pin close enough to accommodate pivoting but keeps it tight. Cut off extra wire with the scissors should there be any. Lay out the paper. The bamboo must be set down on said paper. Ensure that these bamboo bones will be evenly spaced out. Using the tape, secure the bamboo bones on the paper. Make a mark on the paper at half an inch above the tip of the bamboo bones and also at one inch on both sides. The bottom part and the top part of said paper must be cut similar to an arc form. Take off the bones if you desire to draw or paint or decorate the paper. Ensure that the paint is thoroughly dry. With the glue, attach permanently the bones on the paper. The glue must be given time to completely dry. Begin at one of the ends and then start to fold the fan. Bring a first bone to second bone, folding in the paper. Continue this method. Take time in folding your paper. When done, cut off any excess paper that you do not need. You now have in your hands a Japanese fan to call your own.